I would like to receive occasional information and updates from Yolmo Connect Fundraiser and jumblebee. We've collected together a superb range of gifts and excellent skills and experiences, offered by friends and supporters of Yolmo Connect to support our fundraising event on 16th September. Please take a look at the items and services on offer and bid as you are able. 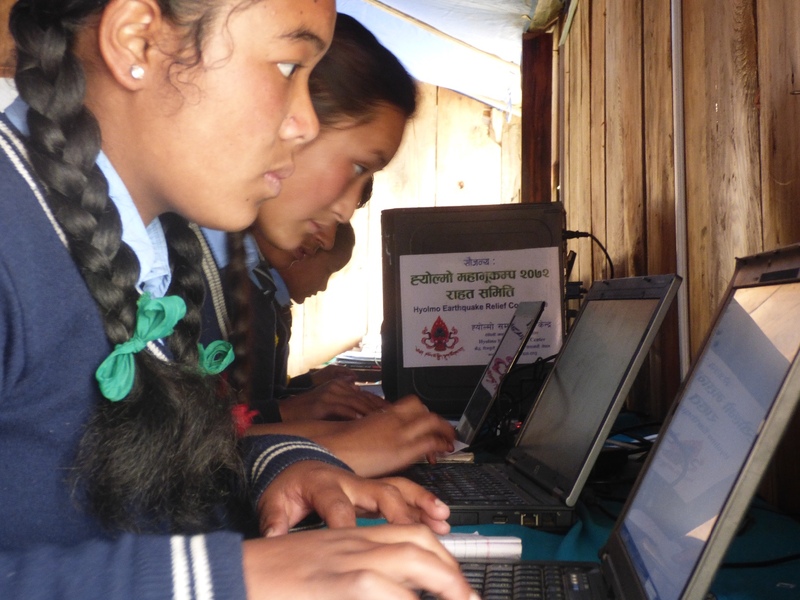 Yolmo Connect supports education in Nepal through the teaching of IT skills and use of computers, in schools based in the Yolmo Valley region. Support is given through the provision of hardware including laptops, software, teacher-training and administration support for schools. 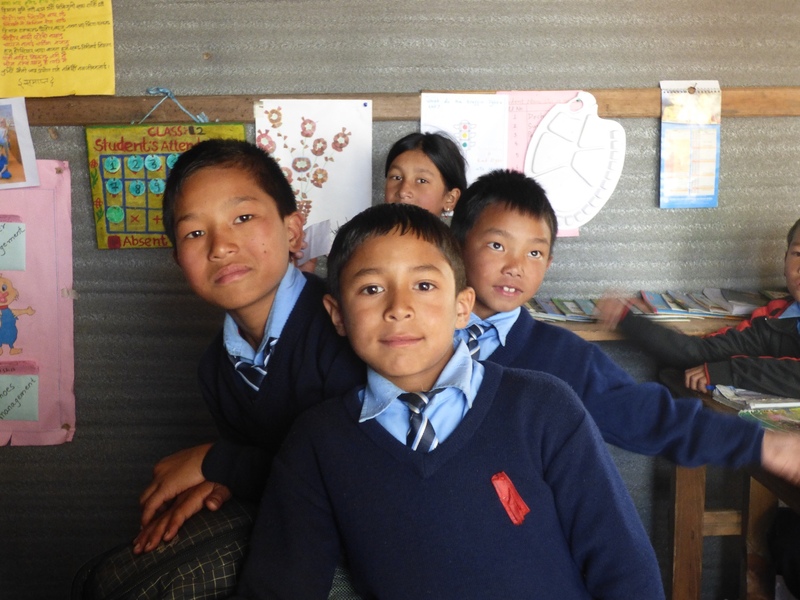 Based high up in the hills, at the head of the Yolmo Valley, Melamchi ghyang school and village was completely devastated by the earthquake of 2015 and to-date only the health centre has been rebuilt in stone. The school presently functions from temporary buildings of reclaimed materials, but is delivering a full timetable and students are achieving good exam results. As part of our fundraising for 2018 we are hosting an evening of 'Food, Music and Love for Nepal', along with a silent auction. Please note: items and skills are intended to be delivered within a 20 mile radius of Stoke-on-Trent, but if you require them further away, please email us and we will ask the donator. Thank you! Attendance for one person at a Bread in Common course. 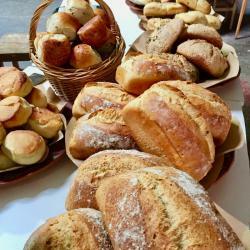 "We will be trouble shooting your bread, building your confidence, and getting you baking-tastic by the end of the day. 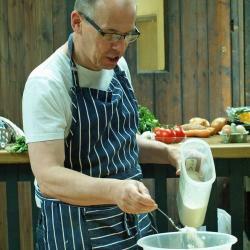 We’ll even have a quick look at using sourdough." Hosted at Bread in Common, 72 Hartshill Road, Stoke. You get to learn new skills in a friendly and fun environment and take how lots of lovely stuff you’ve made. Have you always fancied tinkling those ivories? Or maybe you played at school and wondered if you should take it up again. 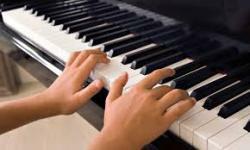 Here's an opportunity for a lesson with experienced piano tutor Chris Lewis for a lesson. Available for children too, Chris has supported the music offer for a number of years at Stoke Minster Primary School - Chris has her own piano for you to play. Bellissimo of Leek are offering a luxury facial treatment at their salon in Leek. 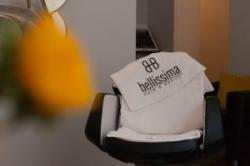 Bellissima is the premier hair and beauty salon in Leek. We bring all your pampering needs under one roof, offering everything from skin peels, nails, and HD Brows to hairdressing. At Bellissima we offer all popular treatments to the highest standard at an affordable price. We choose and focus on only the finest products, equipment and treatments on the market, and coupled with our professional staff we ensure you have the best experience. We take great pride in the services we offer, continuously listening and responding to our clients’ needs, adapting our services and providing the latest products. 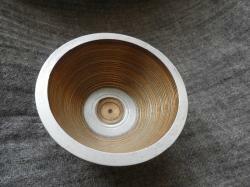 Hand-crafted bowl made from aluminium and plywood creates this beautiful and stylish contemporary taken on the lathe-turned wooden bowl. Own your own JCB! An original 1:32 scale JCB model digger by Britains. A great toy for children or grown-ups. 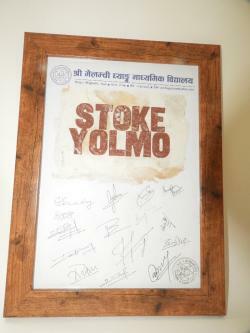 We've framed one of the 'Stoke Yolmo' prints - created on hand-crafted paper by artist Hilary Hughes in response to the earthquake of 2015. Corin took the print to Nepal in 2016, where it was signed by all the teachers at Melamchi ghyang school on headed school paper, both are now mounted in a lovely frame. Bryn Tirion is a two-bedroomed cottage, located on the edge of Llan Ffestiniog village, in the heart of Snowdonia. 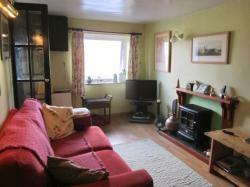 The cottage is well-equipped and comfortable: has a TV, DVD player, broadband, a landline, is on a village road (so is not in a really remote location), has a good mobile signal. It is your choice how much you want to ‘get away from it all’ and switch off. Please note: the cottage has a double bed in each bedroom and can accommodate additional people on the basement sofa bed. The cottage is available for between 2-5 days during the autumn 2017 or spring 2018. 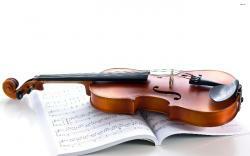 An opportunity for a violin lesson with experienced strings teacher Lucy Heron-Johnson. Choose your style, classical or folk. Lucy is also a highly skilled luthier, so maybe you have an instrument that is in need of some TLC. The choice is yours. 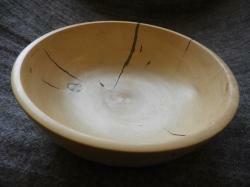 Stylish hand-crafted wooden bowl. Lathe-turned from holly, with resin inset in the faults of the natural wood. I've been a photographer for over 50 years, and worked semi-professionally and professionally for over 20 years. I have been a member of a couple of camera clubs locally and been quite successful in photographic competitions both locally and Inter-County wide. I have exhibited locally and had submissions accepted on more than one occasion by the Three Counties competition, held at Keele University, where the number of entrants is limited. In 2014 I was admitted into the Royal Photographic Society, an honour I am very proud of. 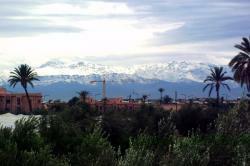 I hope that my skills will be of use in teaching you to be a better photographer. Restyling the 20th Century with a quality vintage upholstery, Buttonbacked combines quality restoration and upholstery with a fine artist's imagination and skills. 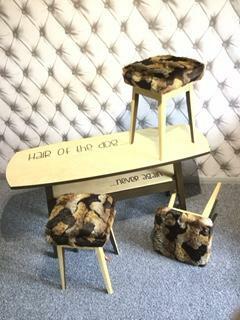 Jan's donated a super vintage pub coffee table and three stools - covered in luxurious fake fur. A stunning and large photo by celebrated artist and sculptor Alice Cunningham. 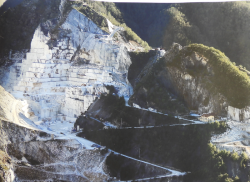 Petacchi Quarry in Italy provided the marble for Michelangelo's sculptures and Alice visited to capture this strong image. The print is on poster quality paper and comes signed by the artist. Please note - the image attached is for the auction page and does not fully represent the high quality of the artwork. Alice Cunningham is a visual artist with a diverse practice and the ability to sensitively work in many mediums. 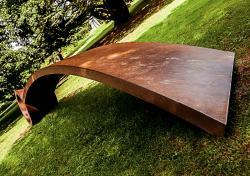 She is equally passionate about concept and materiality in her work. Since completing her first degree in 2006, Cunningham has worked and exhibited throughout the UK, Europe, Asia and Africa. 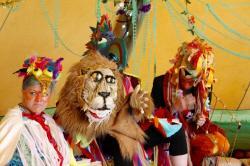 In 2010 Cunningham was shortlisted to represent the UK in the first UK Young Artists Biennale in Europe. Alice has lectured in Fine Art at Universities throughout the UK and works with charities organising creative events to engage hard to reach or marginalised groups. Completing her largest outdoor commission to date in 2014, part of the “Art, Cities, Landscape” public art exhibition in Amiens, France, she worked with a landscape designer to transform an island in the River Somme. After spending a month in 2007 carving marble in Zambia, Alice was selected in 2014 by the Royal British Sculpture Society to develop her work on a three-month residency working with marble in Studio Sem, Pietrasanta, Italy. In 2015 Alice was awarded a Fine Art MA with distinction from the University of Wales and had her first solo exhibition at the Royal British Sculpture Society, London. In 2016 she was elected to be on the council of the Royal British Sculpture Society. 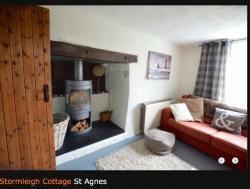 Based in beautiful St Agnes, Cornwall, Stormleigh Cottage is a traditional Cornish cottage with a stylish contemporary twist; there two living areas both with superb wood burning stoves and comfortable sofas for those relaxing evenings. The kitchen/diner is beautifully fitted with a useful utility area leading on to the rear garden and patio which has a hand built stone barbecue, perfect after a day on the beach. The accommodation has a homely and tasteful feel and caters for your every need. This is the perfect Cornish accommodation for any group of friends or family looking for coastline chic and within walking distance to the beach or village. 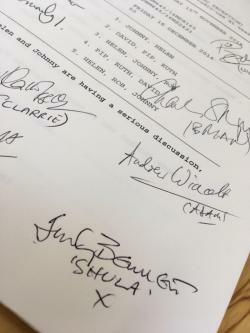 A gripping episode from the Rob and Helen saga in Radio 4's 'The Archers' - here's an original script from December 2016 signed by the cast. We are able to post this item to a location outside North Staffordshire. and cooking. Of course, there'll be lots of eating too. Centres. He was a contestant on BBC's Masterchef in 2015. The wonderful' I See Magical Creatures' team are offering to bring their delightful and appealing, imaginative and playful, colourful and sparkly creatures to your children's party. 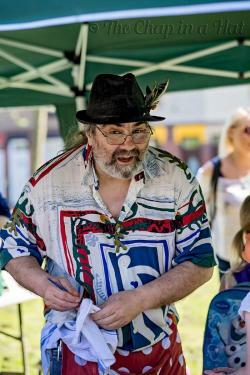 Skilled children's entertainer and story-teller Alan Barrett is offering a session of face-painting at a children's party or at a school of your choice. Alan has worked for many years in local schools and with local community groups bringing cheer and laughter to many children. As a skilled and sensitive raconteur he'll brighten up your event. 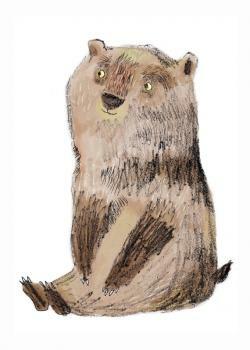 Talented artist and illustrator Adam Pryce has donated one of his delightful animal prints, signed and reproduced A3 size, along with a copy of the children's book 'Meg & the Rat' which he has illustrated.